Fur is an autumn must-have, so knit yourself a little gilet, or vest for a chic way to be both cosy and cool. Worked in 'erika knight' fur wool' a beautiful natural 100% British wool yarn. With edge-to-edge front, great shape and a flattering shawl collar, it's perfect for layering over a fluid blouse or jersey T shirt for a sophisticated texture contrast. The snood is Erika's favourite accessory piece, simple to make and simple to wear. This one is easy to knit too; knitted in a very simple stitch that maximises the luxurious nature of this gorgeous yarn. 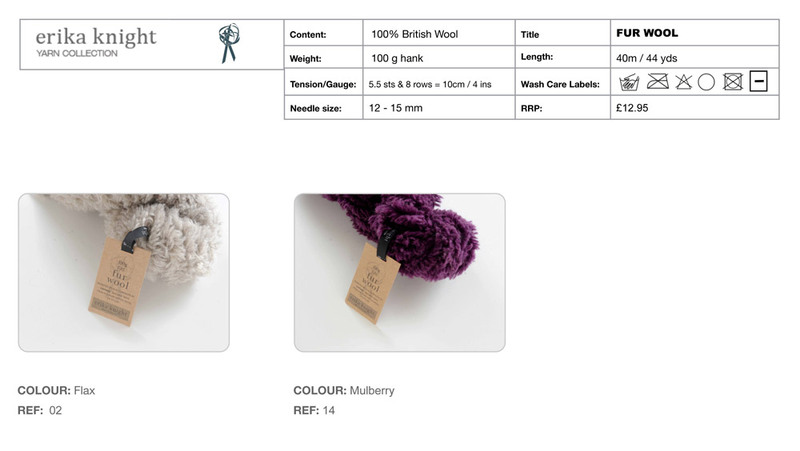 It is made in Erika Knight Fur Wool, a natural, British wool, nurtured, spun and made in Yorkshire. Quantity needed: 3 x 100g hanks.